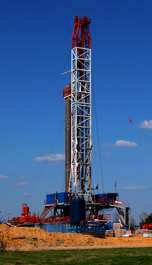 Premium Oilfield Services is an independent oilfield service company dedicated to providing its customers with the best service in the industry. Our services include Fishing Services, Wireline Services, Whipstock Services, and Thru Tubing Services. As a rapidly growing company with the highest standards, Premium's mission is to supply its customers with the best tools and personnel in the North American oilfield market. We support all products and services with one of the newest tool fleets in the industry, experienced personnel dedicated to operational success and a focus on safety.